Storm petrels fly from a midnight sea in June to their nesting holes in a two-thousand-year-old stone tower; a million starlings gather to roost from all points across a freezing winter sky; and migrant redstarts, only weeks out of their nest, set off over alien seas on their way to Africa. This book records a lifetime of looking at birds. Storm petrels fly from a midnight sea in June to their nesting holes in a two-thousand-year-old stone tower; a million starlings gather to roost from all points across a freezing winter sky; migrant redstarts, only weeks out of their nest, set off over alien seas on their way to Africa; a pair of airborne swifts lie together for an instant as they mate hundreds of feet up in the sky. "The Running Sky" records a lifetime of looking at birds. There have been many books on the birdwatcher's awkward obsession, but there has been nothing until this that so brilliantly restores us to the primacy of looking, the thrill of watching and thinking about the flying wild creatures that share our planet. Tim Dee writes about what he has seen in a language we have never read before but will recognise as accurate and familiar, with insights new-minted yet immediately understood, in prose that is at once precise and poetic. 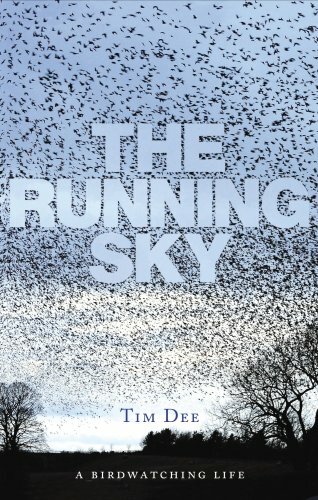 "The Running Sky" follows the birds' year from one summer to the next. Tim Dee maps his own observations and encounters over four decades, tracking birds - well-known and bizarre, flying free, in the nest, in his hand as he rings them, or dead and stuffed on his mantelpiece - from northern Shetland to south-west England via downtown Los Angeles and a tobacco farm in southern Zambia. He writes about near-global birds like sparrows, starlings and ravens, and exotic species, like electrically coloured hummingbirds in California and bee-eaters and broadbills in Africa. The book begins in the summer with clouds of breeding seabirds in Shetland and ends with crepuscular nightjars like giant moths in the heart of England, and takes us outside, again and again, to stand - with or without binoculars - under the storm of life over our heads, and to marvel once more, as all humankind has, at what is flying about us. In the current resurgence of British nature writing, "The Running Sky" will take its place in the very first rank.